The Cloud Native Computing Foundation (CNCF) has announced the systems and service monitoring framework Prometheus from the foundation’s incubation program has now graduated. This makes it the second project to meet the CNCF’s criteria for graduation after Kubernetes in March of this year. The news was announced today during the organization’s Prometheus-focused PromCon event in San Francisco. The open-source infrastructure monitoring platform’s new status means that it has met the CNCF’s requirements that the project “demonstrate thriving adoption, a documented, structured governance process, and a strong commitment to community sustainability and inclusivity,” and adheres to the CNCF Code of Conduct, among other accomplishments, according to the foundation. 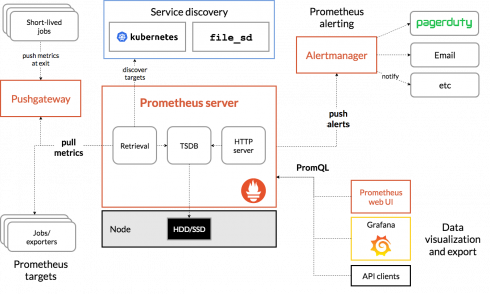 Prometheus was started in 2012 by developers at SoundCloud to monitor their burgeoning microservice infrastructure and has since become a rapidly growing part of the Kubernetes ecosystem, the CNCF says. It entered incubation at the CNCF in 2016 with its version 1.0 release. With 20 active maintainers, more than 1,000 contributors, popularity among major companies like DigitalOcean and Uber and integration with Kubernetes, the CNCF and CoreOS team, frequent contributors to the project expect Prometheus to continue growing in popularity.